Situated in the heart of Apollo Bay the Best Western Apollo Bay Motel is the perfect base from which to explore the breathtaking coastline and mountains of the region. Our motel style accommodation and 1 and 2 bedroom self contained apartments are conveniently located, clean and comfortable. We have standard motel rooms with a queen sized bed (sleeps 2) and Twin motel rooms which have a queen sized bed and single bed (sleeps 3). The 1 bedroom apartments have a queen sized bed (sleeps 2) and our 2 bedroom apartments are equipped with queen sized beds as well as single and bunk beds for families. 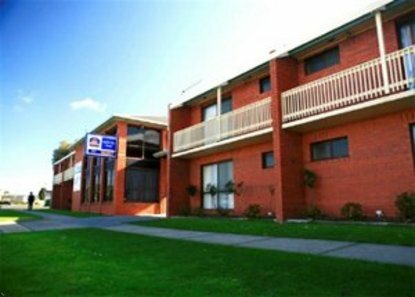 All motel rooms and apartments are equipped with Reverse Cycle heating and cooling, mini bars, remote TV, free Austar television, and a DVD player. The apartments are fully self contained and are perfect for a family or couple get-a-way. The Nomadnet Wireless Internet network is accessible from every room/apartment in the complex. We have free, safe, off street courtyard parking right outside your door A guest laundry is also located on site for convenience. The motel is located very close to fine dining restaurants, family friendly bistros, the beach, shops, bars and the esplanade which has children's playground equipment and a skate park. The motel is the perfect base from which to explore the breathtaking scenic attractions of the region the Otway Fly Tree Top Walk, the Cape Otway Lighthouse, Maits Rest Rainforest Walk, Mariners Look-out, the Twelve Apostles and Shipwreck Coast, and the many national park attractions and waterfalls. The motel is also close to arguably one of the most beautiful 9 hole golf courses in Australia and clean accessible beaches this motel is the perfect place to stay in Apollo Bay.